Great winds, amazing riding and good times sums up the 2009 Islamorada Invitational. 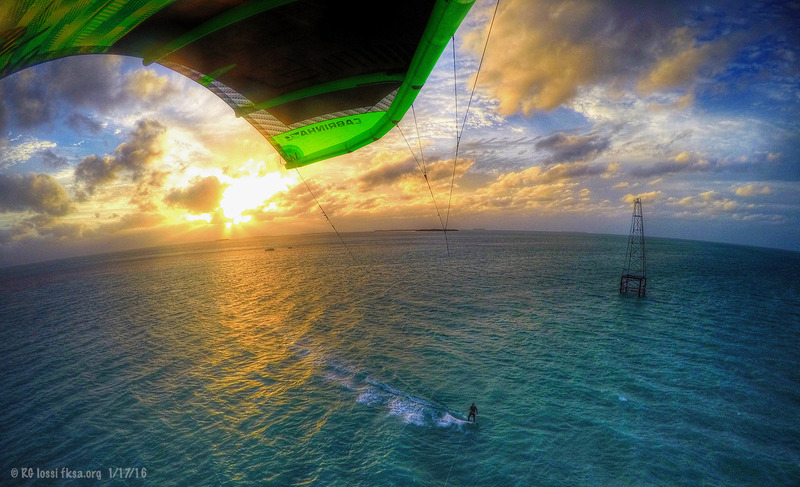 Everyone was stoked to be back in Islamorada as Seven Kiteboarding reorganized the popular springtime event. Athletes competed in course and downwind races, freestyle sessions and the popular slider park. Saturday started off with course racing as heats of 6 riders blasted off the beach and raced back and forth around bouys in front of excited spectators at Whale Harbor Marina. The crowds went wild as athletes raced neck and neck rounding bouys, crashing and trying to be first to cross the finish line in front of the judges tower. In the women's final, Melissa Gill took and unfortunate spill leaving the course wide open for Islamorada local Jamie Fields to stay the course and speed into first. In the men's heats, some of the world's fastest kiteboarders battled for another notch on the bedpost of race winnings as strategy played a big part in this race. In the semi finals, Mike Gbehardt and Tomi Fields tangled right off the start leaving Gebi with a serious gap to fill. In a spectacular heat, Gebi came back from last place to secure his place in the finals. The wind and the tunes picked up a bit as the freestyle heats got underway in the afternoon. The amature mens heats produced some great action with some nice monster mobes by Sean putting him in the lead to take the first place prize - a new Jimmy Lewis board...and bragging rights! The womens freestyle was a crowd pleaser as always and came down to a battle between local Jamie Fields and Melissa Gil. The men's freestyle was a display of power, technicallity and style. In much lighter winds than earlier, Damien Leroy and Billy Parker went trick for trick almost too fast for the judges to keep up with. In the last few seconds, Damo stuck a nice loop mobe and a front 5 for 1st. The riders (and organizers) had a nice little morning session Sunday as the wind came up. Everyone was excited to hit the park with the new 30X40 fun box and see what new tricks would be thrown. Heats of 4-6 riders started around noon as the crowd on the beach grew and watched a pure wake-style rail jam go down. The park was legit complete with the Seven Rail, Mac Slider (thanks to Hamish), the Booter, and the new pyramid fun box. Everyone was throwing down and pumping each other up. The women all charged very hard and made it extremely hard for the judges to call. Stacy was hitting everything very fast and hard; Melissa was tecnically on; and Nikki was determined to hit everything and stick a three off the funbox givin the crowd a nice show. The amature men's final was a battle between Sean, Bobby and 14 year old Matt Collins. After the 20 min heat it was clear that Matt was going to have a bright future in kiteboarding. The pro men's park session was the most exciting 20 minutes of the whole event. Four of the world's best battled with style and power to show Islamorada what Seven's new park was all about. Jon Modica, Billy Parker, Andy Hurdman and Damien Leroy. Billy's power was unmatched...Andy's style motivated all riders, but the combination in Leroy let him slide narrowly into first. After the Park session, the organizers decided to have a little fun and plan a downwind slalom race from the Islamorada sandbar back to Whale Harbor. To make the race a little more competitive, and since it was for fun, they made it a "twin-tip" only race. Riders rode upwind to the event boat at the sandbar as spectators watched from the beach. The cluster of kites began swinging around at the horn blast and riders raced back to shore in about a minute's time. The new format inspired kiters to create new races. Brought to you by Seven Kiteboarding. The whole Seven Kiteboarding team, ii09 volunteers and crew at Whale Harbor want to thank everyone involved for their continued support! See you in 2010! Ride on. Some of you have asked: what did I win? We wanted to wait until the event was completely finished to split up the prize money. Now it is! The prizes this year were donated in part by our sponsors but mainly by Seven's surf shop at mile marker 88. Rally "your", "our" sponsors for next year so we can give out $10k + like before! This year's prizes are spending sprees to the shop! Whatever you ride, whatever you like, you can find something there. From hats to flops, kite to wake to skate...its there...2500 sq feet of goods to pick from! And over $2000 to give away!!! This is payed out in all 9 categories! We have the list of winners so all you all need to do is come on in to Seven's shop at mile marker 88 in Islamorada 305-853-KITE (5483) and pick out whatever you like! Any questions just email brad@sevensports.com or give me a call. From one rider to another: many thanks to all the riders who came out. You guys and girls are what make the event possible! Have a great season and see you all at some beach soon! Ride On! WOW!!!! Store credit, huh? I'm sure everybody's STOKED to get store credit for a national competition! Lets all rally our sponsors to beef up their competition and event budgets so we can give out lots of $$$$ next year. Events are great for the sport. Next year maybe we'll get conditions like this last week and we will head out to Alligator Light. Here's a pic from a few hours ago! Nope, Noel's got his own account. I'm not speaking for any shop, just riders in general. The attitude I was referring to was a negative one regarding someone doing something positive...it just struck me as a surprise coming from "otherside"
Every rider I talked to thanked us and was very positive and thankful...which riders "specifically" were you referring to?